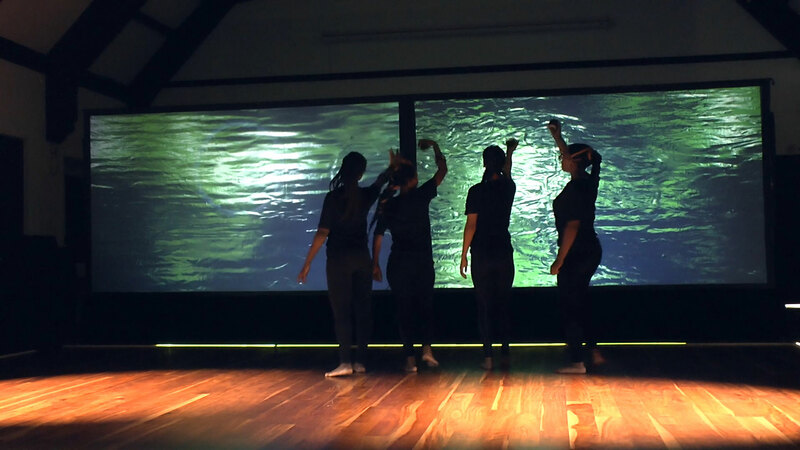 “Eskin 4 the visually impaired” is a trans-disciplinary platform that was created to enable visually impaired participants to become performers alongside their own ecological stories. It was a socially engaged project that amplified the voices of this specific local Durban community. 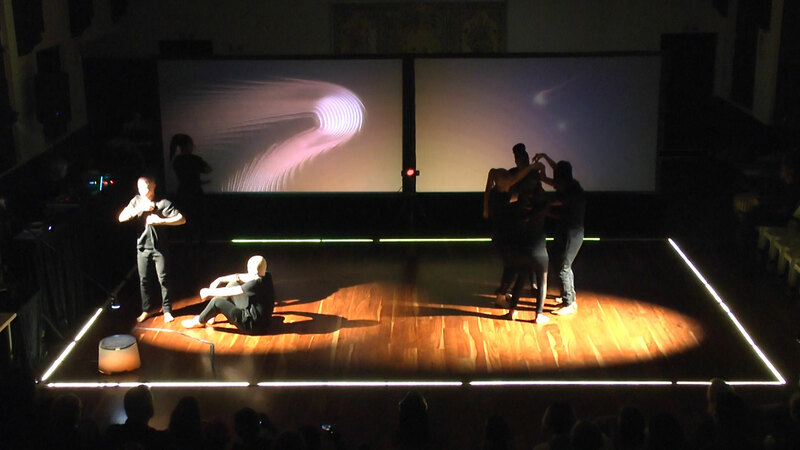 Under the direction of Jill Scott and the Swiss based media-art team, a cross modal interactive platform for creative interpretation was developed. This platform was inspired by current research in neuroscience and wearable computing. This media art team constructed a script based on the participant’s stories and built a toolbox of three interactive technologies that ran in parallel on a mediated stage. They supported the visually impaired participants and their chorographers to be creative on this mediated stage and to construct visual interpretations for a sighted audience. The project started before the group all met in Durban with online interviews with the 7 Visually impaired participants. The answers to the online questions were then reconstructed into a 30-minute script with 5 ambient tracks and many sound files based on the lists of sounds from the participants. This script was used as a base for the 10-day workshop in Durban with the participants and the chorographers. 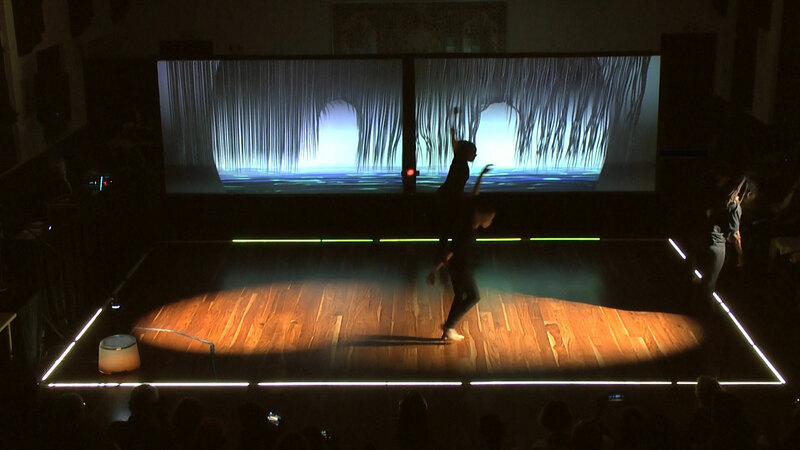 Three interactive technologies were learnt and integrated into this workshop – Wearable armbands and Wi-Fi molecules trigged sounds from MaxMSP, while an infra-red Kinect camera tracked the movement on the stage and utilized the program Touch Designer to shift the projected images. 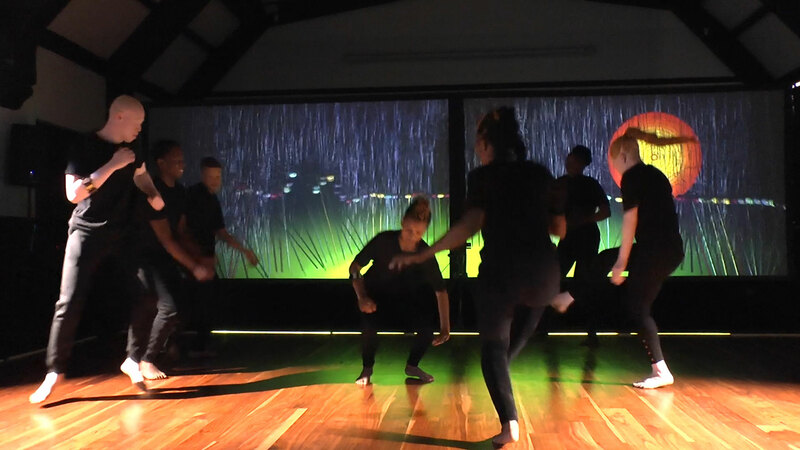 This cumulated in an interactive dance performance for 9 of the participants. We all learnt a great deal, and it gave a chance for visually challenged people to engage in a world of culture that is so visually dominant. 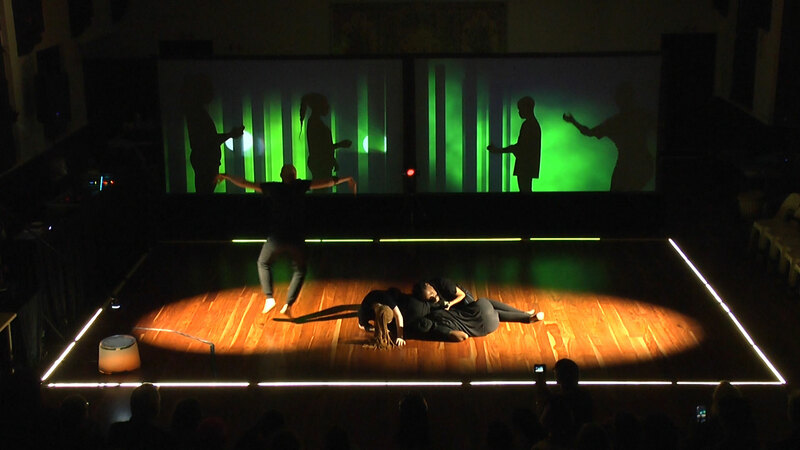 Thus in the final performance, the audience was introduced to a unique experimental theater event about urban ecology in the Durban context.